Derbyshire will begin the new domestic season on Friday April 5 with the visit of Durham in the Specsavers County Championship, before ending their campaign away to Middlesex at Lord’s at the end of September. 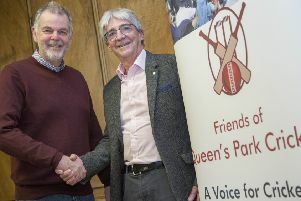 The county will once again return to Queen’s Park for the Chesterfield Festival of Cricket in partnership with Chesterfield Borough Council in July, which will see a four-day game versus Northamptonshire before the week concludes with a Vitality Blast fixture. Neighbours Notts Outlaws will visit The County Ground in the Royal London One-Day Cup on Sunday 21 April during a busy Easter weekend which will also include the campaign opener against Northamptonshire on Friday 19 April. The 2019 season will also include a 50-over fixture against Australia A and a women’s Vitality Blast international between England and West Indies. Specsavers County Championship and Royal London One-Day Cup tickets will go on general sale at 10am on Wednesday 28 November. Interim Chief Executive, Ryan Duckett said: “It’s always a great occasion when Australia visit Derby, especially when it’s part of an Ashes summer. “It will be one of the highlights of a packed summer, which also includes a women’s Vitality IT20 fixture in June and the popular Chesterfield Festival of Cricket in July. 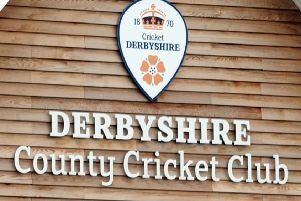 First XI fixtures for 2019 can be viewed at derbyshireccc.com. Club Membership is on sale now and offers entry to all regular season home cricket in 2019 for only £159, if purchased before 1st February. Six Pack Tickets, which offer entry to any six home days for cricket for only £76, are also on sale now.